If only there’s a way to a more safe and secured connection with the finest, handpicked soccer tipsters and advisors. There is now. Every tip purchased comes with a BiGTipster guarantee. 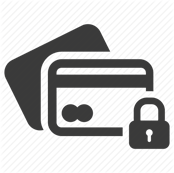 If you are an existing member, login to your account to complete the payment securely with either PayPal, Credit/ Debit Card or Skrill. For new buyers, you are required to enter your email when making payment and a random password will be generated and sent to your email for security purpose. If you need more information about our tipsters or how BiGTipster operate we suggest you visit our Knowledge Base section, you will find all common and frequently asked questions with complete answer from our representative.